Be certain to visit Mish's blog - she will be sharing some wonderful ways to fill these little goodie bags she has created!!! These are available in limited supply so be certain to get yours now before they run out and within plenty of time to get your goodies packaged up before the big day. Too Cute! And I think I already bought that stamp from you! Where do I find the class kit? These are so cute, Mish! You are the *best* treat designer! 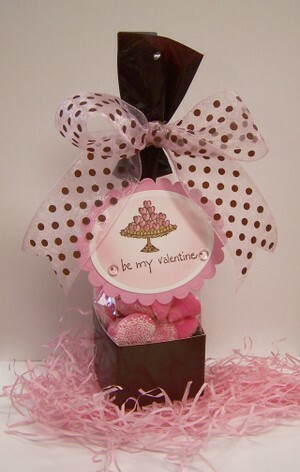 What a cute little project for Valentines Day! Those look like pink nonpareils, too. Will trot on over there and see what I need to do to get me some! Thanks!